If you are in search of a career with plenty of growth opportunities, apply to Reliable Contracting today! Are you in search of a career path? It does not matter if you are fresh out of high school, college, or somebody who wishes to switch gears and change careers entirely, Reliable Contracting may be the right place for you. With plenty of room for career advancement and a reputable name in the construction industry, Reliable Contracting is a great place to work! 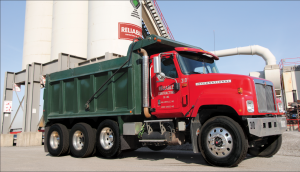 Working at Reliable Contracting means being part of a team that is dedicated to customer satisfaction and quality. We believe that the growth of any organization is dependent on its employees. Over the years we have assembled a team of talented, enthusiastic, initiative, and creative professionals. Reliable Contracting maintains a strong commitment to its employees and strives to provide all its employees with a comprehensive and cost-effective benefits package. This includes health, dental, vision, life insurance, direct deposit, 401(k), profit sharing plans, and so much more! We are proud to say that over 40% of our employees have been with the company for ten years or more. Also, many of whom are second- and third-generation employees from the same family. However, we are still aways in need of new employees because we welcome new ideas and perspectives to our company. Reliable Contracting is an equal opportunity employer. In other words, we welcome all kinds of people to join our team, as we strongly welcome and encourage and welcome women and veterans to apply. If you are in search of a career with plenty of growth opportunities, apply to Reliable Contracting today! We invite you to inquire about any of our open positions that match your qualifications. Please contact either of our office locations. This entry was posted on Friday, November 30th, 2018	at 4:29 pm	and is filed under Reliable Contracting	. You can follow any responses to this entry through the RSS 2.0	feed. Both comments and pings are currently closed.